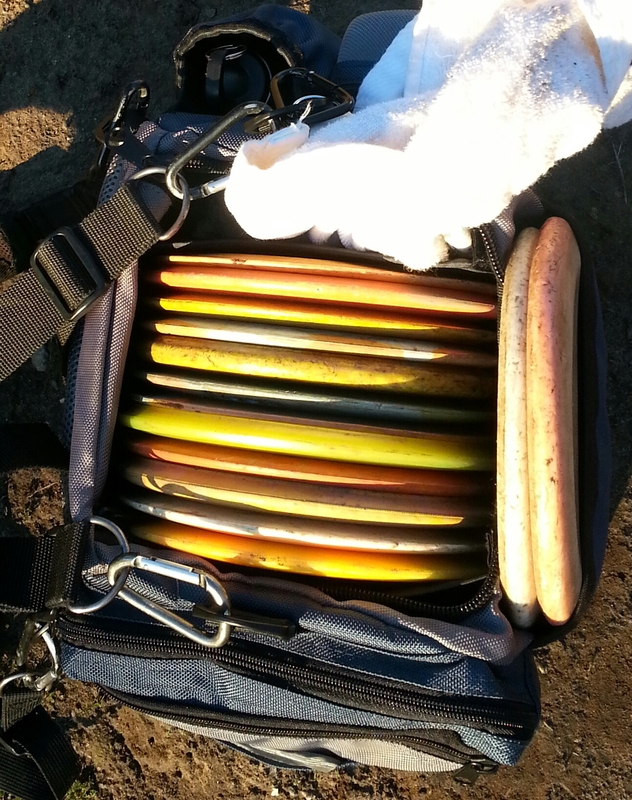 If you haven’t already read the first 3.5 tips (and two universal truths) presented in this two-part post on improving disc golf putting from the neck up, click here now and read Part One before you read this one. Then click the link at the bottom of that post to come back here! 4. Follow Through. Really, really follow through! Think about all the pictures you’ve seen of pro players having just released a putt. I guarantee that most of them will show a player with his or her arm extended almost perfect straight, and with all fingers and even thumb rigid and reaching out toward the target. Team DGA captain Jon Baldwin demonstrates perfect follow-through. Note how his arm and even fingers all point straight toward the target. Photo by Mark Stiles. Follow-through is an important aspect of mechanics is many different sports, especially those that include throwing a disc or ball. The benefit is two-fold: the best way to ensure consistent aim is to extend toward your target in an exaggerated fashion, and doing so will add a smoothness and extra bit of momentum that increases power and speed just enough to make a difference. I’ve had too many putts to count barely go in where I noticed as I brought the disc forward that my grip was a little off or I wasn’t providing enough speed, and compensated by following through as strongly as I could. 5. The formula for balancing commitment and confidence with intelligent game management. A big part of good putting is making a decision, then committing fully to that decision. But that doesn’t have to be a black-or-white, all or nothing equation. Think of it more like a sliding scale- or rather two sliding scales. On the first one you’ve got the difficulty of the putt itself: how long is it? What’s the wind doing? What obstacles do you have to navigate past? The second one measures the possible negative outcomes that may result if you miss the putt. Roll-aways are one of the most common of these, along with OB near the basket, and obstacles that might impede your comeback putt. Players who simply decide to go for it or not lose strokes by not adjusting their approach in a more granular fashion. 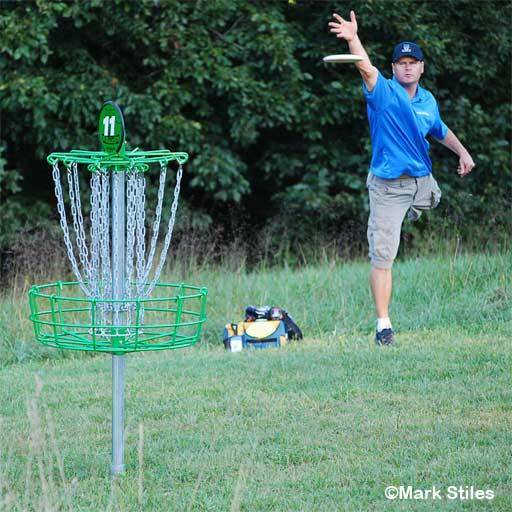 If you assess your odds of making an 80-foot putt at only 40 percent, but it’s a pretty flat, grassy field, you should be able to make some kind of run at the basket provided you throw the disc on an arc so it’s falling downward and sideways as it approaches the target. On the other hand, if you think you think your odds of hitting a 35-footer with a lake five feet from the basket are 60 percent, you’re taking a pretty big risk going for it rather than laying up. Where X is the probability of making and putt, and Y represents the odds of a miss resulting in taking an extra stroke or more, then X + Y = a ratio that tells me how much weight will be given to trying to make the putt versus making sure I can hit the comeback putt. For purposes of illustration, this ratio will be a scale between 0-100, with 100 being the most aggressive, go for it putt and zero being a complete layup. If I have a downhill 40 foot putt on a windy day with hole 7 at DeLa in the long position, my equation would be something like .50X + .60Y = a go for it/play safe ratio of zero on the 1-100 scale. In other words, in that case I deemed the odds of something bad happening to high to go for a putt that I only had a 50/50 chance of making. Another example: I’m at hole 6 at DeLa, 25 feet from the basket, which is in the long pin position right next to an OB road. I estimate my X value to be .85, and the Y value is .70 since missed putts here seem to end up in the road more often than not. What this results in is a putt where I go for it (since I’m very confident that I can make it), but with lots of touch and loft so if I don’t get it in it’ll have a good chance of staying safe. A go-for-it/play safe ratio of 76. Steady Ed Headrick designed the original Pole Hole to absorb the momentum of a flying disc. However, throws that are too weak or too hard have less chance of letting the chains do their job. Steady Ed designed the chains in his Pole Hole to ‘catch’ the disc- in essence to arrest the momentum of the disc then drop it into the cage. There is a specific optimal firmness or speed of a putt where the chains perform this function the best. It’s hard to describe this exact optimal firmness, but when thinking about it now I think one of the best ways is through the sound the chains make when a perfect putt hits them and falls in. It’s full and musical, with a slightly delayed a smaller sound as the disc drops down into the cage. Putts that are too hard sound more violent, like loud cymbals, and putts that are too soft remind me of a bowling ball hitting only three pins. The other reason to develop a putt with ‘just right’ firmness lends itself to a more visual description. 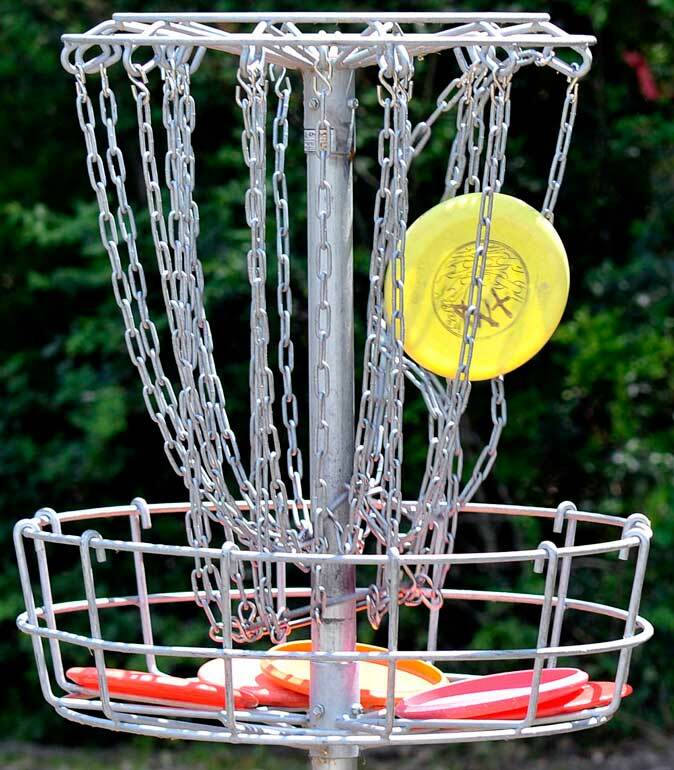 The chain assembly of a basket is designed for the thrower to aim at the pole in the middle. If you’re thinking more about ‘tossing the disc into the basket cage you’re ignoring this design intention and also likely throwing a disc that approaches the basket falling away at a bad angle. Putts like this – even decently aimed ones – can tend to glance off outer chains and slide out to the weak side. Conversely, putts that are too hard can penalize the thrower in a couple different ways. As the chains are only designed to reliably catch discs thrown up to a certain speed, harder putts tend to ricochet more violently and have a great chance to either bounce right out or blast right through before they can be ensnared. This can even happen to hard putts that are perfectly aimed. And of course a hard, line drive putt that completely misses the basket with end up further away. 7. Learn your range. This tip is more of a game management tip for those playing in a format where score is important. Also, it could be considered 5.5 as it really is a building block for employing Tip 5. You are hopefully getting a little better the more you play and practice, but at any given moment in time you have a very specific range- or as described in Tip 5 the probability of making a putt. The key here is to be in tune with your range and base shot decisions on that range rather than your desire, or what you wish your range was. It’s situations just like this for which the term ‘wishful thinking’ was coined. Humans, being emotional creatures, can easily let emotions and ego factor into decisions that really should be made in a completely Dr. Spock-like, logic-based manner. Knowing your range is all about boiling down putting decisions to nothing but a cold, detached assessment of your own capabilities. Not as easy done as said, I know. And to make it even harder, our range is subject to wide variances from round-to-round or even hole-to-hole. 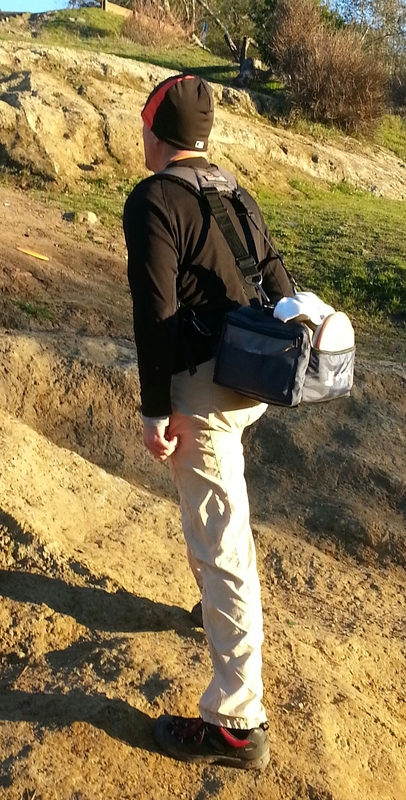 Sometimes I’ll realize a few holes into a round that for whatever reason my putting game is just not there yet. Or maybe I realize that my back is a little stiff and it’s affecting my form. So on a putt I may usually go for aggressively, I’ll take also take these temporary factors into consideration and just lay it up.